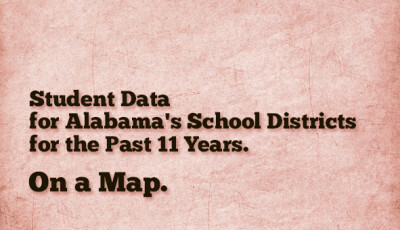 Alabama School Connection » Enrollment Procedures: Which Documents Are Required? It’s that time again. School registration time. As you begin to fill out forms and submit your proof of residency to school officials, you need to know which documents school officials can and cannot request during enrollment. In May 2014, the Southern Poverty Law Center (SPLC) sent a letter to State Superintendent Dr. Tommy Bice delineating various ways school officials were violating federal law through their enrollment procedures. For more about the letter, see this. 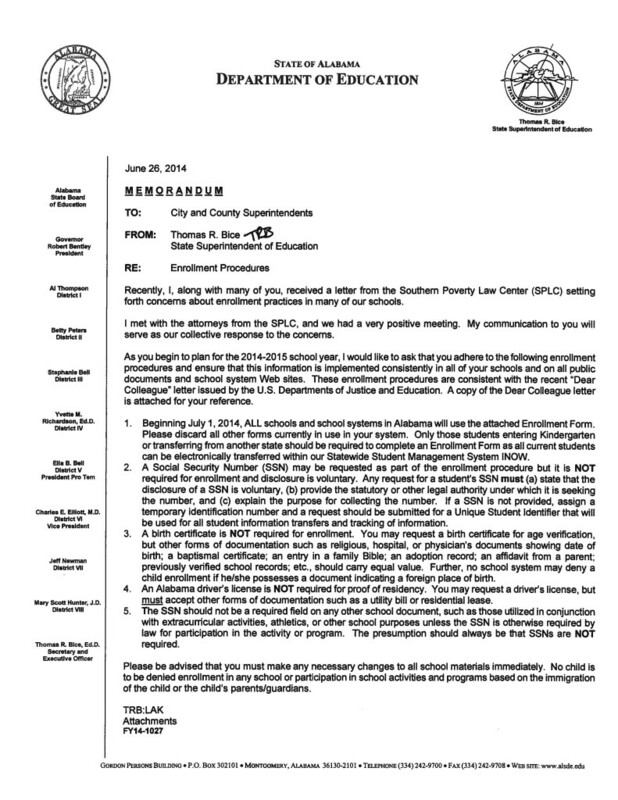 On June 26, 2014, State Superintendent Dr. Bice issued a memo to city and county superintendents regarding enrollment procedures effective July 1, 2014 for ALL school districts. [An image of the memo is provided at the bottom of this post.] Bice states that these instructions reflect the result of discussions and agreement with the SPLC regarding enrollment procedures. One official enrollment form is now approved for ALL schools and school systems in Alabama. No other forms should be used. Here’s the form. Only students entering Kindergarten or transferring from another state should be required to complete an enrollment form. All current students can be electronically transferred through INOW, the student management system used by all school systems. 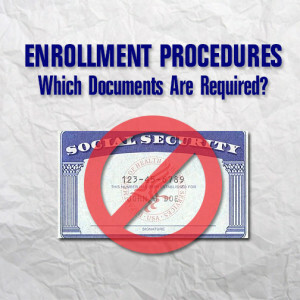 Social Security Numbers (SSN) are NOT required for enrollment. Period. SSNs can be requested, but do not have to be provided. If a school requests an SSN, the school MUST state (a) the disclosure is voluntary, (b) the statutory or other legal authority under which it seeks the SSN, and (c) explain the purpose for collecting the SSN. SSNs should not be required on any other school document, which includes extracurricular activities, athletics, or other school purposes unless the law requires an SSN for participation. The presumption should always be that SSNs are NOT required. 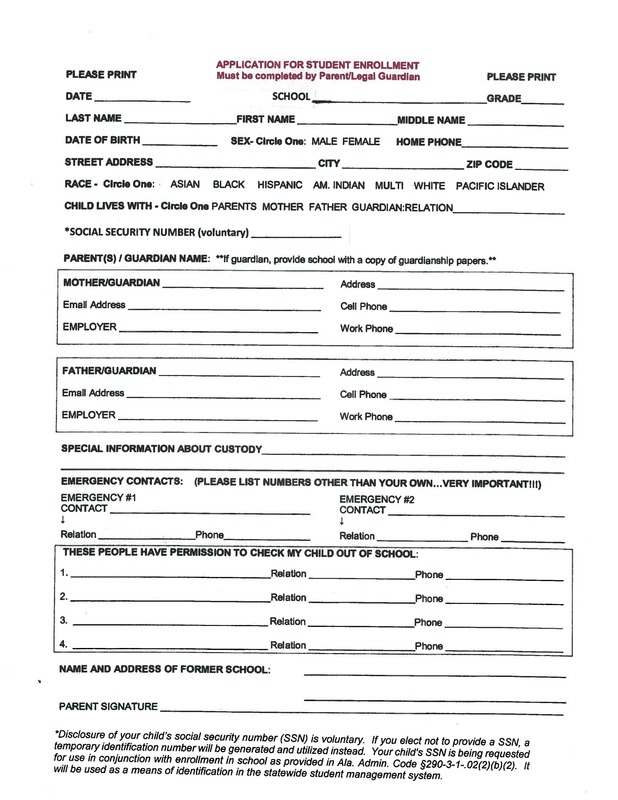 School officials should assign a temporary identification number and submit a request for a Unique Student Identifier to be assigned to the student. 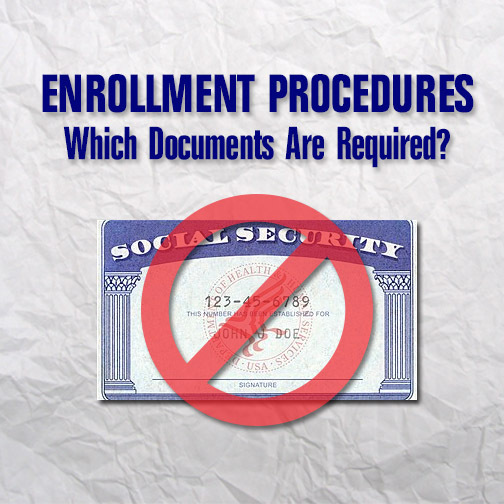 A birth certificate is NOT required for enrollment. Schools can request a birth certificate for age verification, but other forms of documentation should carry equal value. No school system may deny enrollment if a student was born in a foreign country. An Alabama driver’s license is NOT required for proof of residency. 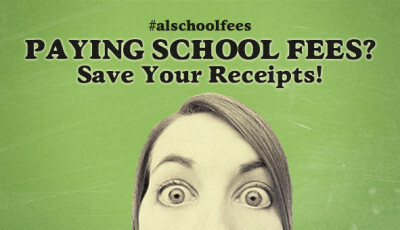 Schools can request a driver’s license, but MUST accept other forms of documentation such as a utility bill or residential lease. Bice tells superintendents to make any necessary changes immediately. He asks superintendents to make certain that all public documents and school system web sites reflect these changes as well. 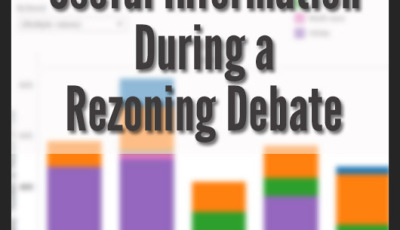 Bice issued similar instructions to school districts in July 2013.